It’s the first day of my birthday month, and there is no other way to celebrate it with a smile from ear to ear. Why now, when I am greeted by a great surprised from someone whom I have been stalking since last year. Oh yeah! I have been stalking him in the blogosphere commenting every post about him that I bumped into and wishing for his attention but to no avail until recently. The Fairy Hobmother I am talking about is well known in the blogland. His duty is to spread happiness and joy to bloggers like me, checking footprints by the readers on a post about him. And if you will be lucky like me, you will be given a give in a form of Amazon voucher to use in buying appliances online. You can choose over wide variety of range cookers, refrigerators, washing machines, tumble dryers, ovens and a lot more from all major brands in the market. So if you don’t believe in fairy tales it’s high time you believe that the Fairy Hobmother does exist by commenting on this blog post. Who knows, the well known fairy in the blogosphere will like you comment and will visit your blog. Wow congrats and happy birthday! Oh wow, what a great way to celebrate your birthday. Fairy Hobmother really knows how to make special people like you very happy! You are lucky, i am waiting ,still waiting for the generous fairy to visit my humble sites. congratulations! you are one lucky indeed...I wish he'll stop by one of these days. oh great! that's awesome sis! I wish, I wish, I wish that Fairy Hobmother will visit my blogs too. That was indeed a very sweet gift from Fairy Hobmother. I hope he will visit me too on my birthday next month! wow. must be a lucky day for you...i can't wait for me to notice my new blog so i'll be as happy as you are right now.. Happy Birthday and Congratulation to you. 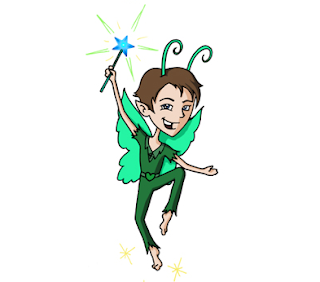 Hope the Fairy Hobmother visit my blogs too. Fairy Hobmother, visit me please :).. Happy Birthday to you! How wonderful! What a great gift that is on your day. Awesome! Congratulations to you.